Boycott the Cancun Climate Circus! Statement by Viv Forbes, Chairman, the Carbon Sense Coalition. 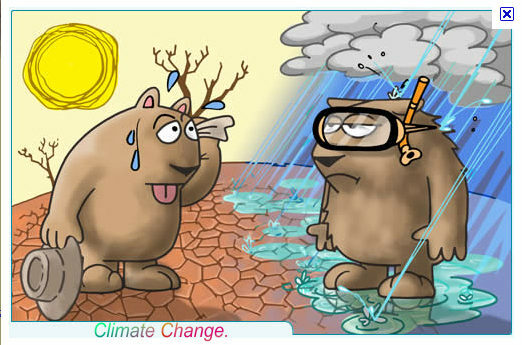 The Carbon Sense Coalition today called on all Australian governments to boycott the Cancun Climate Change circus. The Chairman of “Carbon Sense”, Mr Viv Forbes,said “we do not want a repeat of the Copenhagen obscenity when 45,000 people gathered to discuss how to reduce things like air travel and conspicuous consumption”. This conference is no longer about climate – it is about international redistribution of wealth and industry from the west to the rest of the world. Australia is part of the spoils they hope to redistribute.There is zero chance of global agreement on emissions trading schemes or more carbon taxes.Click on picture to enlarge! The political landscape and public opinion in the USA has turned dramatically sceptical of the increasingly shrill predictions from the desperate alarmists. Moreover, trading in carbon credits in Chicago has collapsed and even Al Gore is recanting on ethanol. Without US participation, nothing will be agreed globally. “In addition, for over a decade, the whimsical world climate has mocked the feverish forecasts of the IPCC. Global Warming looks like becoming Global Cooling (still caused by burning coal of course). Prudently they chose tropical Mexico for this conference or the world media would be treated again to the amusing spectacle of warmists shivering in another bitter northern winter of “unseasonal” snow and blizzards. “So they are plotting a new scheme – enforced global rationing of carbon emissions on a per capita basis. This means transfer of Australian wealth, industry and jobs to India, China and Africa for decades to come. And to bypass parliaments and the suspicious electorate, this will be attempted via “International Agreements”. “Australia should send no more than one observer to Cancun, and that person should have no power to agree to anything. In particular there should be no promises to extend the failed but costly Kyoto Accord, and no transfer of authority to any new international body. For more reading click, here and here. Authorised by: Viv Forbes, Chairman, The Carbon Sense Coalition. Holy Basil! What? You’re stressed? Tulsi tea will relax you. Some time ago I read about Tulsi Tea, and have been meaning to buy some. Yesterday I had a cup at a friend’s place, and was very impressed with the taste – slightly sweet, pleasant and very refreshing. It doesn’t need milk nor sweetening, but you can add both if you wish (though adding pasteurized milk would possibly interfere with some of the health benefits – and if you want to sweeten I’d recommend Stevia rather than sugar – much healthier). 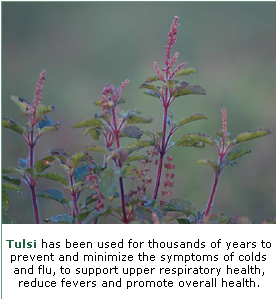 What is Tulsi. (Holy Basil)? "The Queen of Herbs" - is the most sacred herb of India. Tulsi (Ocimum sanctum), although also known as Holy Basil, is a different plant from the pesto variety of Basil (Ocimum basilicum). Tulsi has been revered in India for over five thousand years, as a healing balm for body, mind and spirit, and is known to besto w an amazing number of health benefits. ORGANIC INDIA is pleased to offer Organic Tulsi, for the first time, as a stress-relieving, energizing and delicious tea. For our ORGANIC INDIA Tulsi Tea Collection we utilize a proprietary combination of 3 varieties of Tulsi: Rama Tulsi (Ocimum sanctum), Krishna Tulsi (Ocimum sanctum) and Vana Tulsi (Ocimum gratissimum). Each variety lends its own distinct and characteristic taste that contributes to the delicious flavour and aroma of our blend. - Click on picture to enlarge. How can Tulsi offer so many health benefits? The unique chemistry of Tulsi is highly complex. Tulsi contains hundreds of beneficial compounds known as phyto-chemicals. Working together, these compounds possess strong antioxidant, antibacterial, antiviral, adaptogenic, and immune-enhancing properties that promote general health and support the body's natural defense against stress and diseases. The essential oils in the leaves of Tulsi that contribute to the fragrance and refreshing flavor of Tulsi Tea, are a particularly rich source of valuable phyto-chemicals. An adaptogen is an agent that helps the body adapt more efficiently to stress. Adaptogens reduce the intensity and negative impact of the stress caused by mental tension, emotional difficulties, poor lifestyle habits, disease and infection, pollution and other factors. Tulsi is one of the most effective adaptogens known. Antioxidants slow down the process of excess oxidation and protect cells from the damage caused by free radicals. When cells are attacked by free radicals, excess oxidation occurs which damage and destroy cells. Antioxidants stop this process. The cellular damage caused by free radicals can be responsible for causing and/or accelerating many diseases. Tulsi is rich in antioxidants and is recommended to guard against free radicals and protect from damaging excess oxidation. An immuno-modulator is an agent that balances and improves the immune response of the body in fighting antigens (disease causing agents such as bacteria, viruses, microbes, allergens etc.) and maintaining health. How soon can I expect to see results from drinking ORGANIC INDIA Tulsi Teas? Some of Tulsi effects are quite immediate, while others develop gradually after weeks of regular use. For example, you may feel more relaxed and energized after the first cup. Although Tulsi has many specific effects on different body systems, its main benefits arise from its impressive general capacity to assist the body's natural process of healing and maintaining health. Tulsi overall health promotion and disease prevention effects are powerful, but often subtle. For example, you may simply notice that you do not seem to be bothered by stress or common illnesses, such as colds or flu, nearly as often as before. Or you may notice that you generally tire less easily. As with many other herbal supplements, it usually takes at least a week or so of consistent use for the body to experience major benefits. Is Salt a Potential Killer? Could you say that you are “Worth your Salt?” This is another interesting term full of meaning. Centuries ago salt was so priceless that many people used to have part of their pay in salt. It's mentioned in the Old Testament of the Bible (Ezra 6:9) in the context of pay to the Persian king's servants. According to the Roman writer Pliny the Elder, Roman soldiers were paid with salt. It's where the word 'salary' comes from (the Latin word 'salarium'). My doctor told me once that humans need salt to live. A healthy, active lifestyle demands sufficient salt intake. Human life is dependent on the presence of sodium. However, he added “While a little bit of salt is good for you; too much can cause health problems.” Excess salt consumption will manifest itself in the form of “sodium rings” around the periphery of the eye. When I cut sugar cane in far north Queensland Australia in the 1950s, I suffered from heat exhaustion, and I was told to add a teaspoon of salt to a glass of water and drink it. It certainly alleviated the heat exhaustion; however this frequent saltwater treatment produced "sodium rings" around the periphery of my eyes. I stopped using salt in my food, which was hard for a week, but then the taste buds adjusted themselves and the food started to taste much better without salt. Unfortunately, by eating processed food like cheese sausages etc, which are loaded with salt; and consequently, we consume more salt than is good for us. 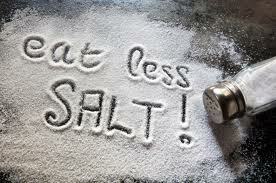 Following is an interesting article, perhaps it could help to persuade you to reduce your salt intake. – Werner. 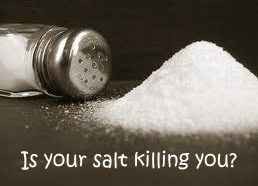 Your Salt may be Killing You. Salt is one of the most basic and ubiquitous food seasonings. Historically, salt has been an extraordinarily valuable food preservative for most cultures in the world. Natural salt contains a vast array of essential minerals and continues to be incredibly valuable for our health. Today, modern refineries have chemically altered most salt making it hazardous for human consumption. Typical table salt is composed of 97.5% sodium chloride and 2.5% chemicals such as anti-flow and anti-caking agents. Table salt is bleached and processed with excessive heat that alters the natural chemical structure and destroys essential trace minerals. Hazardous molecules such as iodine and fluoride are added along with toxic substances like aluminum hydroxide (used as an anti-moisture additive). This processing takes the "life" out of the salt making the unnatural sodium chloride and chemical fillers more challenging to metabolize. The body must sacrifice tremendous amounts of energy and up to 23 times the cell water to neutralize the damaging effects of the salt. The inability of the body to effectively neutralize these toxic substances results in: Unsightly cellulite Rheumatism; arthritis, & gout; Kidney & Gall Bladder stones; High Blood Pressure. Many people have turned to sea salts for their regular salt usage. Unfortunately, many of our lakes and oceans are loaded with toxic poisons like mercury, PCBs and dioxin. Oil spills can toxify a lake or ocean's salt stores for decades after the incident. Over 85% of all sea salt producers are using a refining process for their salt production. Based on this understanding it is wise to assume that sea salt can no longer be trusted as a pure source of essential salts. Pink salts are one of the very few varieties of salts that have remained pure and stable in nature. Natural pink salts are known for their essential trace minerals and their ability to regulate cellular fluid balance. These salts take on their color due to the presence of iron oxide and their abundance of essential trace minerals. These minerals are in a very small colloidal form and inter-connected in structure allowing for easy absorption and a nutrient synergy that exponentially enhances their effect in the body. Pink salt is often labeled based on its geography. The most reputable type of pink salt is Himalayan Salt although it is also found in Hawaii, Australia, Peru, Utah, and Poland. Promoting blood sugar health; Energy Production (hydro-electrical); Absorption of food particles; Supports vascular & respiratory health; Promoting sinus health; Prevention of muscle cramps; Promoting bone strength; Regulating your sleep & moods; Supporting your libido; Enhances immune function; Stabilizes heart rate & blood pressure; Extracts excess acidity. Pink salts provide a great remedy for asthma and allergy symptoms as well. The salts have a unique ability to unplug the thick mucus secretions in the lungs & stop overflow of nasal secretions when water is plentiful. Taking it as a natural anti-histamine, one can drink 2-3 cups of purified water with a pinch of healthy salts. Posted by Werner Schmidlin at 9:16 PM 2 comments Labels: Salt. SBS "Insight" – “Islam.” This show didn’t allay the fears Australians have about Islam. I received an e-mail a long time ago with a question: “Can a good Muslim be a good Australian?” The answers were given; it was stated, by an Australian who lived in Saudi Arabia for 20 years. I was urged by a few people to publish this on my blog, but I refrained of doing so because I couldn’t get the source or the name of the Australian. But I thought that the e-mail was certainly food for thought. When I was invited by “Insight” to be on the program, I thought this would be relevant to the subject being discussed at SBS. I sent this to a friend whose hobby it is to read and analyse religious books, especially the Koran. I asked him if the answers given to that question were basically right. His answer was, “They are spot on.” So, I thought this would be ideal to bring to the debate and to see if it gets rebutted by the Muslims that were present. On the flight to Sydney I showed a printout of this to the lady sitting next to me and she said that it was excellent to bring up and have it discussed, but be prepared, she warned me, to be cut off by Jenny Brockie in mid sentence, adding “I personally don’t like her!” Well, not everybody loves everybody, but the lady was right about the cutting off. I also showed this printout to several people before we went into the studio and all said this is excellent for you to bring up. However, I couldn’t even give one reason as to why a Good Muslim can’t become a good Australian. As soon as “Insight” had finished on Tuesday night my phone started to ring with upset people at the other end, followed by e-mails; expressing disappointment and dismay about the way “Insight” was handled. Words like total flop, imbalance, stacked with Muslims who had the floor, were voiced. I told them that it is no use telling me this; tell SBS. Many wondered why the Rev. Hon. Fred Nile ED., L.Th., M.L.C. wasn’t on the show. He had just published a Media release, called “Islamaphobia and Islamisation.” An interesting read. After the show I spoke with two Muslim women, one was a lawyer, and I gave them the printout and my e-mail address and asked them to let me know if the answers given to: (Can good Muslims be good Australians?) is correct in their opinion, they promised that they will reply, but I won’t hold my breath. For me it was an interesting experience, but also disappointing due to being cut off and, not given any further opportunity to speak. It was also very hectic for me, flying down the day before and back the next day, an hour after the show. I had an interesting mix of taxi drivers; the first one was a migrant from Ghana a jolly fellow who explained the different landmarks and the suburbs we were in. He even told me where Lee Lin Chin, the SBS weekend newsreader lives, and that he had driven her many times in his taxi to the SBS studio. I asked him what his name was and he said Ray. “Is this a given name for Australia,” I asked.” ‘No the real name is rayno (don’t know if this is the right spelling) but it sounded like Rhino to me and I asked him if that name comes from the animal “Rhinoceros” and he burst out laughing, “No, no, no, it is not derived from Rhinoceros.” For a moment I was worried that he was losing control of the car, but he certainly had a good sense of humour. The second driver who took me to SBS wanted to know what I’m doing there, and when I told him he went into overdrive with a tirade about Muslims, with a mixture of expletives, and had nothing good to say about them. I wasn’t able to get a word in. The last driver was a Muslim from Iran who took me to the airport. He also wanted to know what I was doing at SBS; and consequently went into overdrive with a lecture about the bad western governments, the bad western culture and the bad western media, who, according to him, tell lies about Islam. For those who haven’t seen SBS "Insight," about “Islam” on TV, here it is again, but you have to scroll down a long way to YouTube. Click on this link - Australian Islamist Monitor, Islam Under Scrutiny. Can a good Muslim be a good Australian? Theologically - no. . . Because his allegiance is to Allah, The moon god of Arabia. Geographically - no. . . Because his allegiance is to Mecca, to which he turns in prayer five times a day. Politically - no. . . Because he must submit to the mullahs (spiritual leaders), who teach annihilation of Israel and destruction of America, the great Satan , Australia and the rest of the free world. Intellectually - no. . Because he cannot accept the Australian Constitution since it is based on Biblical principles and he believes the Bible to be corrupt. Philosophically - no. . .Because Islam, Muhammad, and the Quran does not allow freedom of religion and expression. Democracy and Islam cannot co-exist. Every Muslim government is either dictatorial or autocratic. Footnote by my friend: In the Koran there isn’t anything mentioned about unconditional love and peace. Spiritually – no. Because when we declare 'one nation under God,' The Christian's God is loving and kind, while Allah is NEVER referred to as Heavenly father, nor is he ever called love in the Quran's 99 excellent names. Therefore, after much study and deliberation.... Perhaps we should be very suspicious of some of the MUSLIM community in this country. - - - They obviously cannot be both 'good' Muslims and good Australians. Call it what you wish it's still the truth. You had better believe it. The more who understand this, the better it will be for our country and our future. The religious war is bigger than we know or understand. Footnote: Some in the Muslims community have said they will destroy us from within. Islam is not only a religion - it’s a way of life under total dictatorial submission to Allah & Mohamed. SO FREEDOM IS NOT FREE. Check out what's happening in France today. Is this coming our way? Posted by Werner Schmidlin at 8:21 PM 16 comments Labels: SBS Insight Islam.